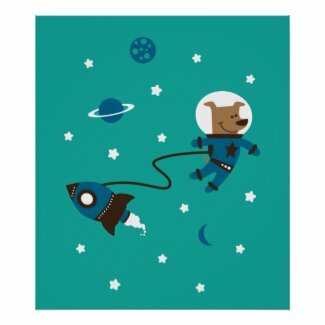 Dogs in Space Photos - click here for a fun tumblr blog. 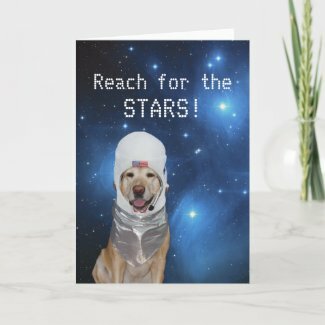 Click here for a gallery of dogs in space photos on Flickr. On the anniversary of the flight of "Laika, the first dog in space," an expert talks to his Italian barber. The barber is impressed with 'Laika's' trip into space. Says 'alika this', 'laika that'. Not happy with dog being sent to her death. In 2007, Nick Abadzis wrote a graphic novel called 'Laika' about the first dog to go into space. Later he wrote alternative endings with Laika coming home.These were commissioned by 'Big Planet Comics' who have a website. 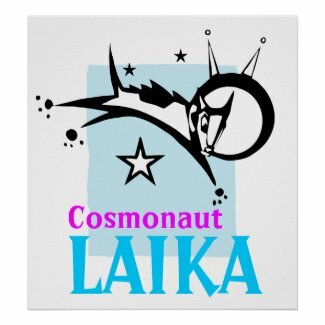 Here is a short animation with a happy ending for Laika - the first animal and dog in space. Mission Poster - click here. T-shirt by Ashin X No2Good click here. Snoopy and Tintin on the Moon - click here. 40th Anniversary of First Moon Landing - click here. Traveling Exhibit To The Moon: Snoopy Soars with NASA - click here. Click here and here to about an exhibit which celebrated Snoopy's 40th anniversary of flying to the Moon. Charlie Brown and Snoopy on the Moon - click here. Podcast and transcription about Snoopy's moon visit is available on 365 days of astronomy website.